How much fun it would be to see your loved one pleasantly surprised and flattered. 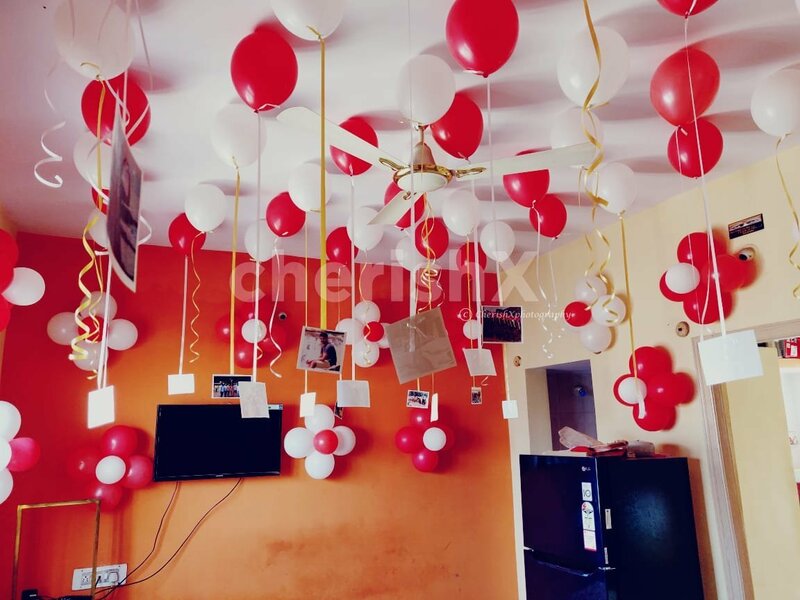 Send them out for some work or shopping and in their absence fill their room with balloons, roses and candles, pictures hanging from balloons and wait for the moment they accidently walk in! How does my decoration look? 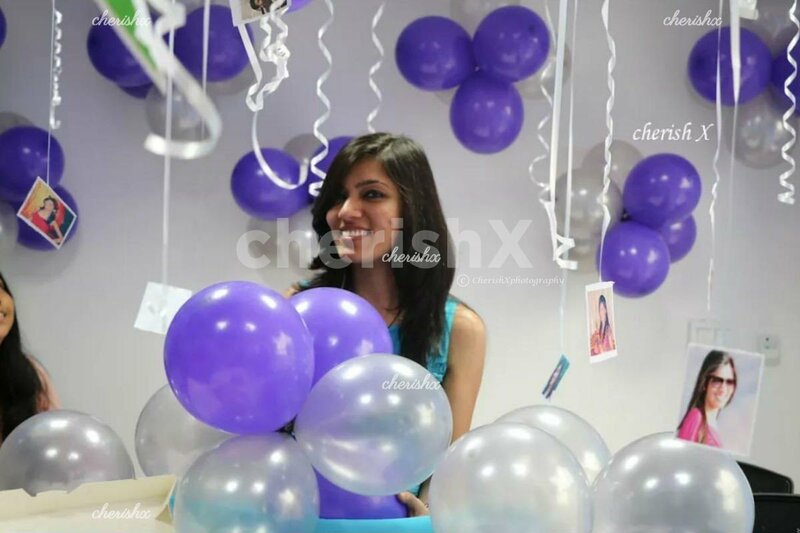 About 40-50 balloons will be hanging from the ceiling with nice ribbons and photos attached to them. And about 150 on the floor or in form of bunches! 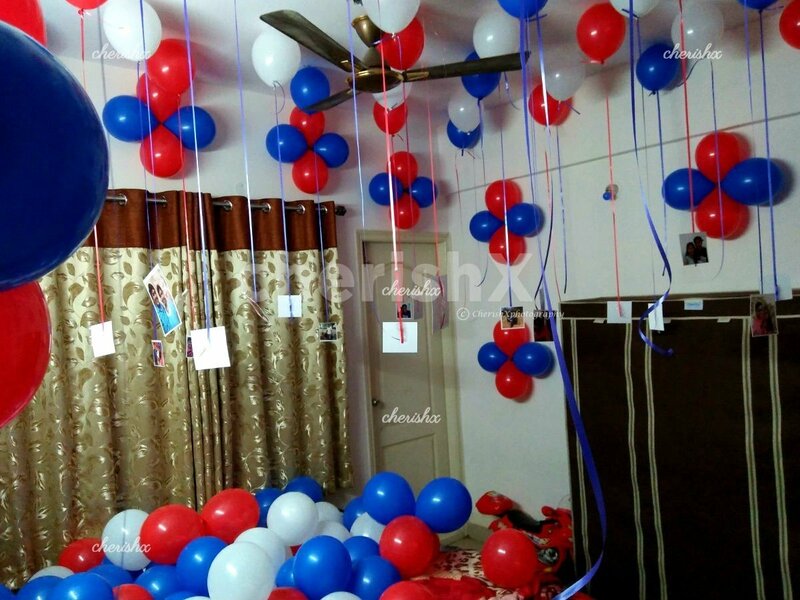 Also the special add on- rose petals and candles will decorate the whole room to give away merriment.The decoration artist will discuss the exact decoration with you and tailor to your taste and your room. 100 tea light (diya like) candles & lots of rose petals will be use to decorate or write your message. For example on your first anniversary you can have a message - “We are one now”, for husband’s birthday - “Happy birthday my tiger” (or pet name) or for parent’s anniversary - “Happy anniversary mom & dad”. Movie screening”: if you are a movie lover - then you can organise a movie evening on big screen. We will arrange delivery & pick-up of a projector and large screen (6ft x 4 ft wide).